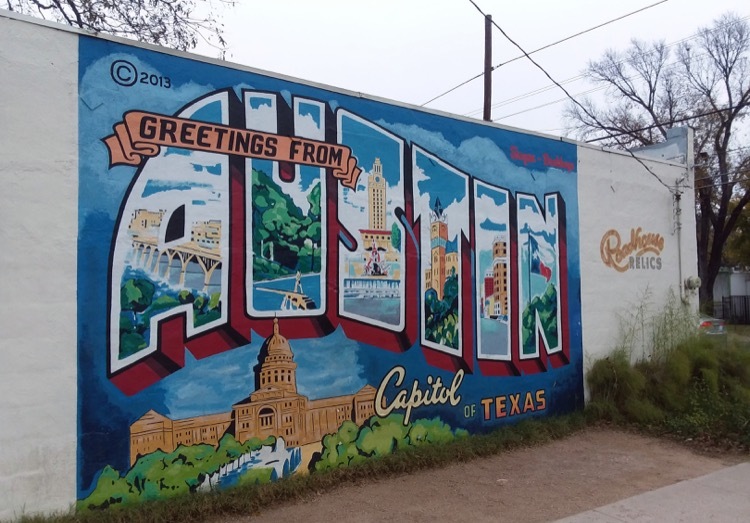 UltraRunning Magazine’s gear team spent the last three days of November in Austin, Texas exploring The Running Event (TRE), an annual conference for running-related retailers, businesses, and media to discuss the state of the industry and see what’s on the horizon in the year ahead. Our favorite part is getting a sneak peek at all the cool gear we’ll be checking out next year. This first installment is specific to shoes, and Part 2 will cover gear, apparel and nutrition. 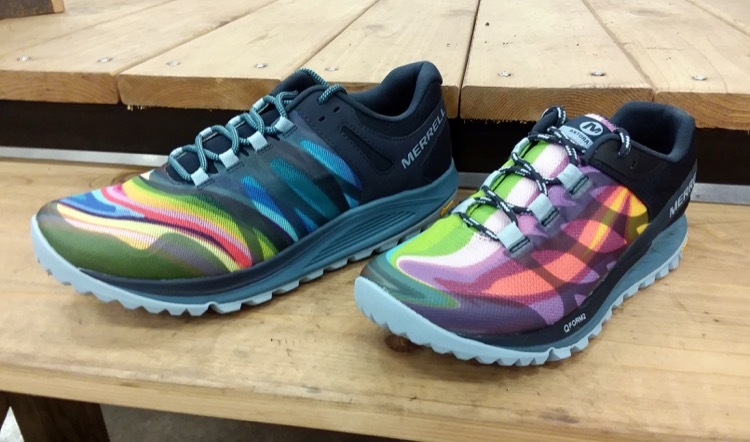 Merrell is making a focused push into the trail running space in 2019, particularly through its Merrell Test Lab (MTL) project in partnership with elite-level mountain runners such as Anna Frost. The first shoe from this collection is the MTL Cirrus, designed for skyrunning-style events that require nimble movement over steep and rocky terrain. It features a Vibram MegaGrip outsole with aggressive 4.5mm lugging, dual-directional midsole grooves, and a TrailProtect rock plate. Stack heights are 30mm heel – 25mm forefoot, and weights are 11.4oz (men) or 8oz (women). The MTL Cirrus will retail for $160 in Spring 2019, and will be included with our magazine’s Spring Shoe review. Merrell continues a niche favorite with the new Trail Glove 5, to be released in Spring 2019 for $100. The main change is a slightly wider midfoot last to better accommodate foot splay with load bearing; otherwise, it’s as lightweight and low profile as usual. Stack heights are 11.5mm in both heel and toe for a zero-drop platform; weights are 7.0oz for men and 6.0oz for women. Two new models will be everyday trainers with some eye-catching flair. The men’s Nova and women’s Antora are built for running on moderate trails, with protective features such as shock absorbing midsole foam and a TrailProtect rock plate. The women’s Antora is narrower in the heel, higher in the arch, and roomier in the toes compared to the men’s Nova, and the dual density midsole is designed to accommodate the increased tendency of women to pronate. Stack heights for these shoes are 34mm/26mm, and weights are 11oz for the Nova and 8 oz for the Antora. Both will be released this spring for $110. 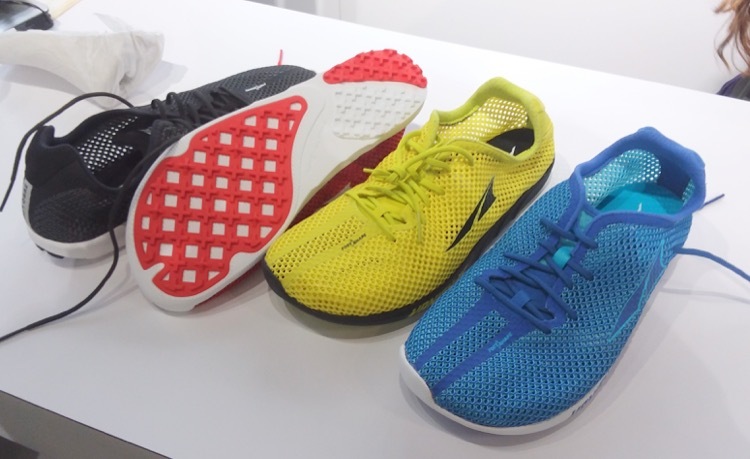 Altra is planning three significant launches in the first half of 2019: two of them are updates to existing favorites, and the other is brand new. 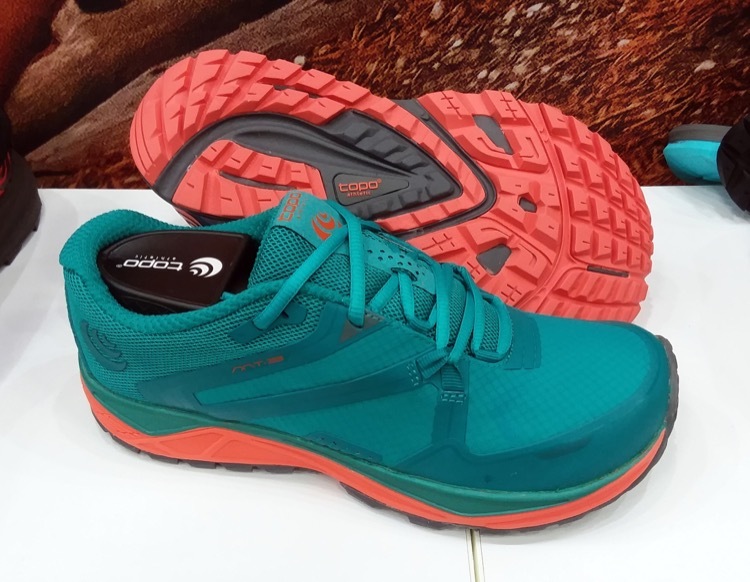 First will be the Superior 4, which is the lightest shoe in this model line to date. A key update is the use of a new Quantic midsole compound for responsive cushioning. Other improvements include a stickier MaxTrac outsole, adjusted fit through the heel, and new ripstop mesh uppers with seamless construction. Stack heights are 21mm in heel and toe, weights are 7.9oz for men and 6.3oz for women, and MSRP is $120. Coming in July, the King MT2 sees significant updates from the ground up. The outsole features the same Vibram MegaGrip compound with rugged 6mm lugs for fell running grip, but it utilizes a new Litebase application method that decreases thickness by 40% and weight by 25% compared to the previous version. The upper has a more durable ripstop mesh and modified drainage holes around the perimeter to eliminate water more effectively. The King MT2 has stack heights of 19mm in heel and toe, weighs 8.7oz (men) or 7.3oz (women), and will retail for $140. The most intriguing shoe from Altra is the incredibly lightweight Vanish XC, which was worn by Zach Bitter during his world record 100-miler at Tunnel Hill last month. 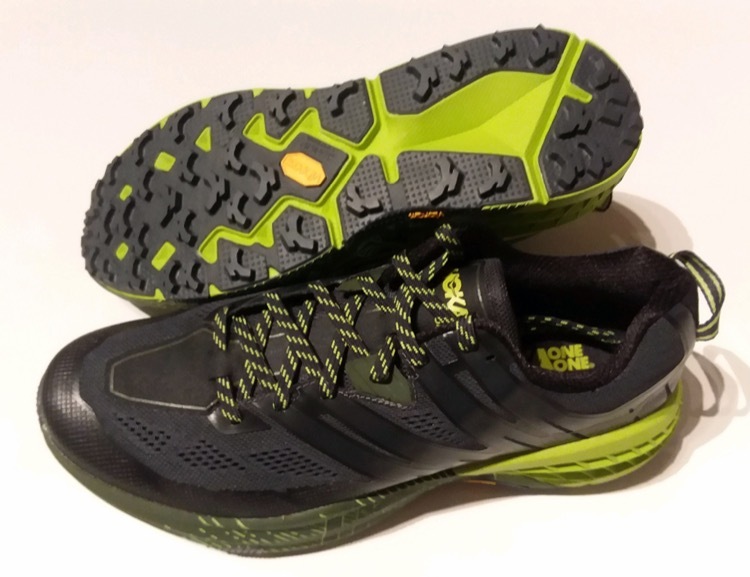 The shoe is billed as a spikeless cross country racer, with strategically placed, shallow rubberized spikes in the forefoot and lateral heel for traction and propulsion. The entire upper is a breezy open mesh without eyelets, which means you can run the laces through any part of the upper you like, and perfectly customize the fit and tension. The Vanish XC weighs 5.5oz for men and women, has a 15mm stack height, and will retail for $80. 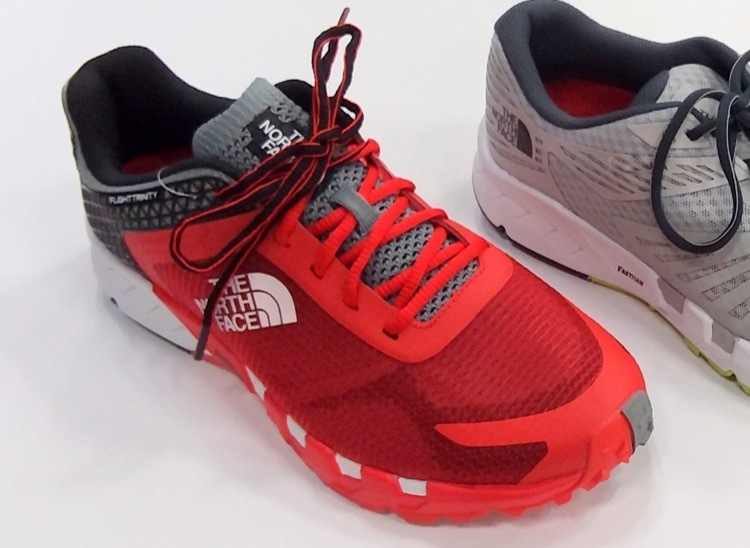 TNF has launched a number of new trail shoe models in recent years… many of which make one trip around the sun and are never seen again. Next spring’s debut is the Flight Trinity, which utilizes performance construction elements from bottom to top. Exploration Trax (EXTS) outsole rubber is designed for strong grip on wet or dry surfaces, a FastFoam dual density midsole has springy energy return, and a seamless ripstop provides lightweight durability. Stack heights are 20mm/18mm, and weights are 9.5oz (men’s) and 8.0oz (women’s). The North Face Flight Trinity shoe is a Spring 2019 release with an MSRP of $140. 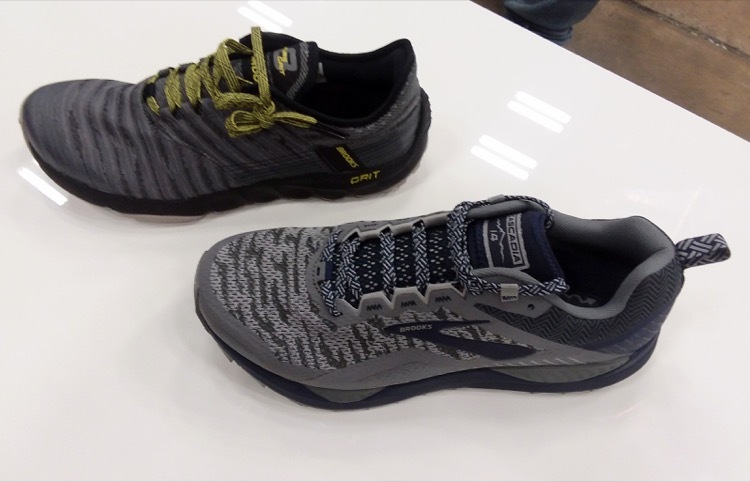 HOKA has two spring 2019 shoes that are very close to release; both the Speedgoat 3 and Challenger ATR 5 will be available next month. The Speedgoat 3 is a 4mm offset shoe with stack heights of 32mm/28mm for men, and 30mm/26mm for women. It maintains the slightly wider toebox seen on the Speedgoat 2, as well as the rugged Vibram MegaGrip outsole. 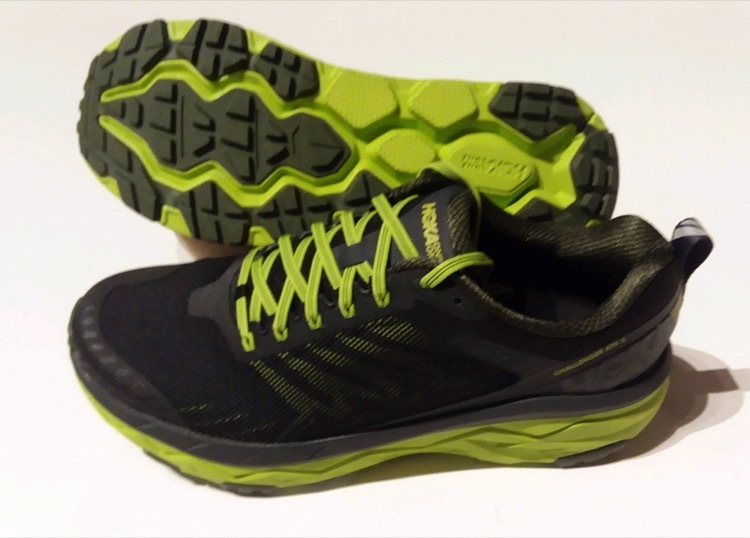 Fit updates include additional heel support, better midfoot lockdown for uneven terrain, and a new ripstop nylon upper. Weights for the Speedgoat 3 are 10.3oz (men) and 9.1oz (women), and it has an MSRP of $140. The Challenger ATR 5 is a wonderfully versatile road/trail hybrid with a wider forefoot and lower midsole platform than the Speedgoat, in a significantly lighter package. Stack heights are 29mm/24mm for men and 27mm/22mm for women. Updates to the Challenger ATR 5 include modified outsole lugs arranged closer together in the heel and wider in the forefoot, plus the improved midfoot lockdown seen on the Speedgoat 3. Weights are 9.4oz (men) and 7.7oz (women), and the Challenger ATR 5 has an MSRP of $130. 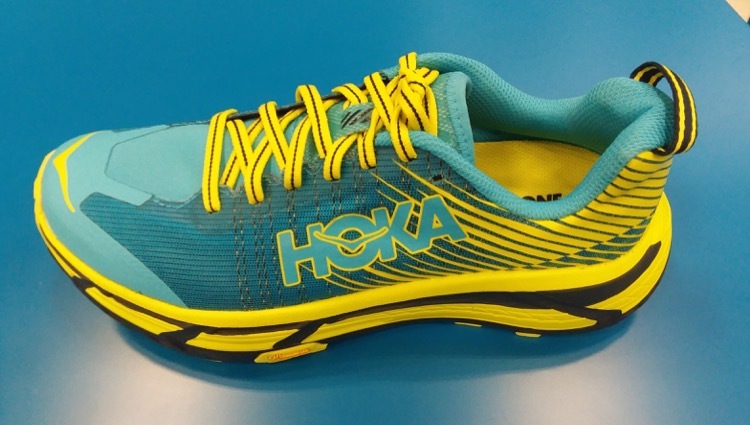 Hoka’s ultimate race shoe for ultras will be updated in the fall, when the EVO Mafate 2 will retail for $170. Most of the construction and geometry elements are retained from the original, including the innovative MATRYX Kevlar material in the upper. The key design change pertains to upper performance, as the Kevlar doesn’t have inherent stretch capacity. The Mafate 2 solves this with a flexible lycra vamp added to the toe box which provides expansion ability upon foot splay or in response to foot swelling with high mileage. Stack heights are 33mm/29mm for men, 31mm/27mm for women, and weights are 10.3oz (men) and 8.9oz (women). The EVO Mafate 2 will be available in Fall 2019. 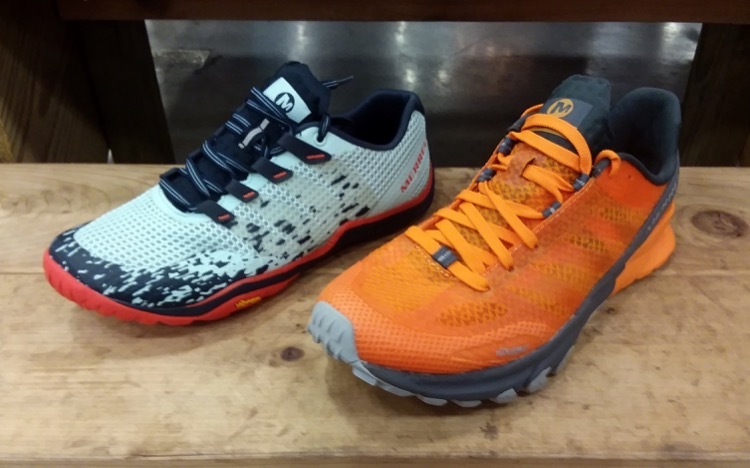 Fresh off the release of their new Ultraventure trail running shoe, Topo tweaks the construction of that shoe slightly with the new Mountain Racer, designed for long mountain days that include off-trail scrambling or significant scree exposure. The platform geometry is identical to the Ultraventure at 30mm/25mm, but the midsole compound is slightly firmer, and the outsole uses Vibram’s outstanding MegaGrip. A ripstop mesh upper increases durability and improves lateral stability, The Mountain Racer weighs 9.3oz (men) and 7.7oz (women), and will be available in June 2019 for $140. 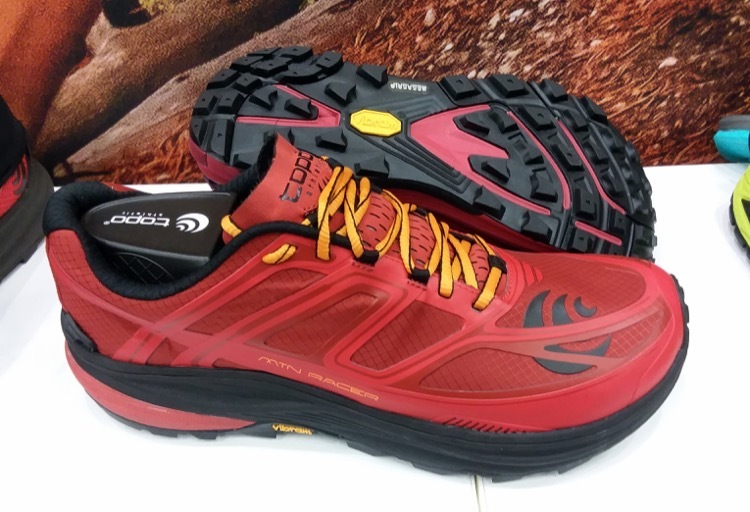 Topo’s entry-level trail shoe, the MT-3, receives a number of nice upgrades for its May 2019 release. It has more aggressive outsole lugs, midfoot drainage ports, a new 5mm Ortholite footbed, and updated lightweight ripstop mesh uppers. This model has nice versatility for road or trail, and a nearly-flat platform with 25mm/22mm stack heights. The MT-3 weighs 9.9oz (men) and 8.0oz (women), and will retail for $110. The Brooks Cascadia is a longstanding favorite – as evidenced by model numbers in the teens – and the Cascadia 14 will see extensive updates in Fall 2019. It has a slightly wider forefoot last than its predecessors, with a full internal saddle system to maintain a close-to-foot fit. The outsole will use a new proprietary TrailTrack rubber with a new lug configuration. The midsole flattens out a bit, going from 10mm drop to an 8mm drop, with stack heights of 24mm/16mm. Best of all, the overall weight is decreased, with the 14 coming in at 10.7oz (men) and 9.5oz (women). The Brooks Cascadia 14 will retail for $130. Slightly less tenured but equally beloved, the PureGrit 8 gets a relatively minor tweaking compared to its predecessor. The key change is a new stretch woven knit upper that is incredibly thin and light, plus an airy mesh heel cover with pockets of padding to secure the Achilles tendon. The midsole and outsole remain unchanged on this update, along with the 19mm/15mm stack heights. The PureGrit 8 weighs 9.3oz (men) and 8.2oz (women) and will be available in July 2019 for $120. Salomon brings a trio of aggressive mountain and trail running shoes to market next year, beginning with the Speedcross 5 which will see a limited release in February, with widespread availability in summer. The next generation of this classic fell running model has a grippier outsole compound with modified chevron lugs, and the connection between the upper and midsole is vacuum sealed to prevent separation or tearing. 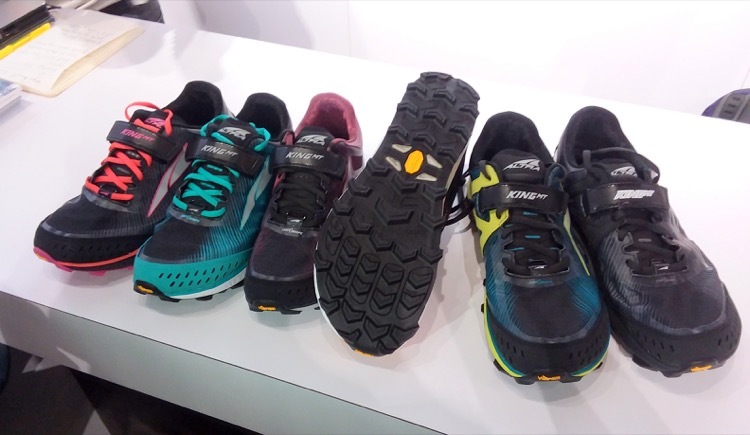 The Speedcross 5 uses a slightly wider last that should accommodate a wider range of runners than previous versions. Weights are 11.6oz (men) and 9.9oz (women), with stack heights of 30mm/20mm. MSRP will be $130. Also available in Spring is the Sense Ride 2, updated with a softer and more flexible 3D mesh upper, and modified overlays to disperse pressure in a more angled fashion from laces to midsole. It has an updated SensiFit structure to hug the foot more precisely, and an Ortholite sockliner with memory foam. Stack heights are 27mm/19mm, weight is 9.5oz (men) and 8.5oz (women), and the MSRP will be $120. A new model from Salomon next August is the X Alpine Pro, built for true mountain running to accommodate steep climbs and descents with lots of scrambling. It features a super-sticky Contragrip TA outsole with deep lugging, a welded upper reinforced in high-wear areas, and a relatively flat (for Salomon) platform at mm drop. Stack heights are 24mm/18mm, weight is 10.6oz (men) and 9.5oz (women), and the X Alpine Pro will retail for $160. Stay tuned for Part 2 of our TRE recap, coming soon!